Great book and a must listen! Do not by any means underestimate this book. It is full of great wisdom from a man who has been where you want to be. 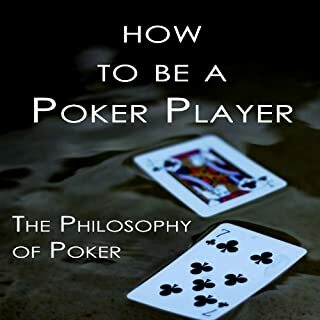 If you're looking for poker math, concepts, ranges, 3 bet strategies, then this is not the book for you. Rather this is a book on how to be a poker player. I thoroughly enjoyed listening to this audiobook.